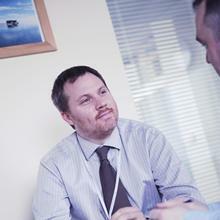 Patients with a hard-to-treat type of cancer are being given new hope in a new clinical trial. 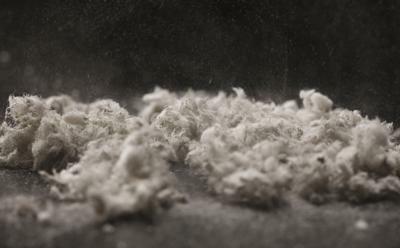 Researchers at the University of Southampton and the University of Leicester are trialling a drug that could boost the body’s immune system to fight off mesothelioma, which can be caused by asbestos. The trial will be one of many to be conducted at the University of Southampton’s Centre for Cancer Immunology, which will be the UK’s first and only centre dedicated to cancer immunology research. Mesothelioma rates are rising. Since the late 1970s, mesothelioma incidence rates have increased almost six-fold (497 per cent increase) in Great Britain. There were around 2,700 new cases of mesothelioma in the UK in 2013 – more than seven cases diagnosed every day. Current treatment methods include chemotherapy, radiotherapy or surgery and are mainly aimed at keeping the cancer under control. The phase III randomised controlled trial, which is funded by Cancer Research UK and supported by Bristol Myers Squibb, will test whether nivolumab, a drug already used to successfully treat advanced melanoma and advanced kidney cancer, can be used to target mesothelioma. It works by finding and blocking a protein called PD-1 on the surface of certain immune cells called T-cells. Blocking PD-1 activates the T-cells to find and kill cancer cells. The trial has been launched ahead of International Clinical Trials Day, which is marked on 20 May each year, but this year has events taking place today (Friday, 19 May). The trial, which is being run in collaboration with the clinical lead Professor Dean Fennell at the University of Leicester, plans to recruit 336 patients, who have relapsed mesothelioma, across 20 UK-wide sites including Southampton and Leicester. One person who has already benefited from using the immune system to fight mesothelioma is Mavis Nye, who was diagnosed with the disease in 2009. After various courses of treatments which failed, she joined a phase 1 immunotherapy trial to test the drug (Keytruda) on how well it blocked the PD-1 protein and enabled the body to fight off a number of cancers, including mesothelioma. After the first two years, scans revealed the tumours had decreased by 81 per cent, with three disappearing completely. Mavis is now cancer-free and spends her time raising awareness about the importance of clinical trials. The construction of the Centre for Cancer Immunology is expected to be completed by September and aims to be in full operation in summer 2018. It will bring world-leading cancer scientists together under one roof and enable interdisciplinary teams to expand clinical trials and develop lifesaving drugs. The Centre, which is based at Southampton General Hospital site, is being funded by a £25 million fundraising campaign by the University of Southampton. 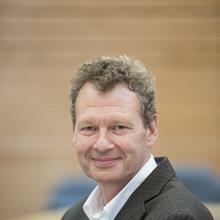 Professor Tim Elliott is Professor of Experimental Medicine within Medicine at the University of Southampton.